Wireless provider Globalive says it will file a notice to appeal a court ruling that struck down a 2009 federal cabinet decision allowing Globalive to launch its Wind Mobile brand. The company said it will ask the Federal Court of Appeal to reverse Federal Court Justice Roger Hughes ruling, which was delivered on Feb. 4. It said it is also applying for an extension of the 45-day period the court gave Globalive to make its appeal. The move came two days after federal industry minister Tony Clement announced that the federal government would also appeal the ruling. "Like the government, we disagree with several aspects of the Federal Court decision, and we are confident that the Federal Court of Appeal will overturn it," said Anthony Lacavera, chairman of Globalive. "Our biggest priority is to put this regulatory gaming by our competitors behind us, so that we can continue to focus on bringing wireless innovation and competition to the marketplace." The CRTC originally found Globalive was in breach of Canada's limits on foreign ownership, basing its decision on Globalive's complicated ownership structure. 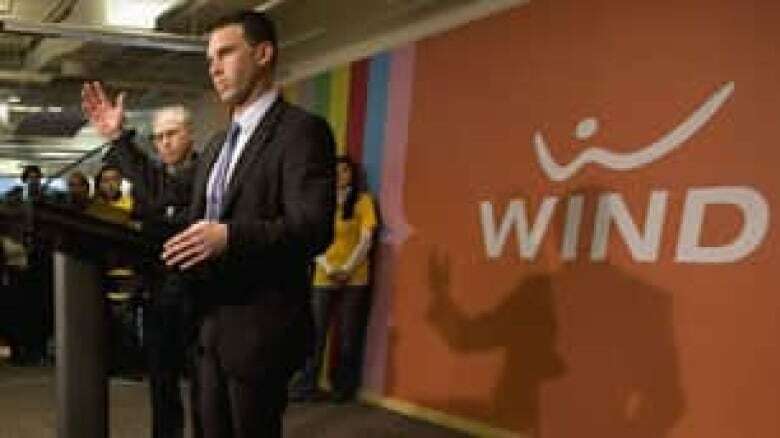 But the federal cabinet overruled that decision in December 2009, allowing the company to launch Wind Mobile the same month. Wind now has 250,000 customers. Clement said Globalive — majority-funded by Egyptian billionaire Naguib Sawiris's Orascom empire — does qualify as a Canadian company under the Telecommunications Act, and the government wants to foster consumer choice and competition. Hughes found Ottawa's move was based on "errors of law," and ruled it null and void. The Federal Court case was brought by Wind competitor Public Mobile, which argued the cabinet's decision was unfair to other wireless carriers, such as Public Mobile, that secured substantial Canadian investment to qualify for the government's wireless auction.